It's been a while since I've provided some how-to posts, and my mind is brimming with them and my notebook has pages of them - the challenge is I'm still trying to keep my house clean because it is on the market to be sold. Have you ever tried to keep a craft room clean and clutter free? Let me tell you, it is NOT POSSIBLE! So, I've had to cut back my craftiness to stuff I can quickly and easily put away/hide and I've had to remove my sewing station and cabinetry to make the room look huge - um hello - those were work-stations! For now, I'm limited to drawing, painting and silhouette crafts for a while and started the Etsy store (packing station is at Mom's house). Enough whining :) Staging a house can be a bit of fun. My favorite part of the house is our back porch. In the South, I get to use it about 10 months out of the year (sometimes I sit back there in jeans, sweatshirt and blanket to read. It is just peaceful. 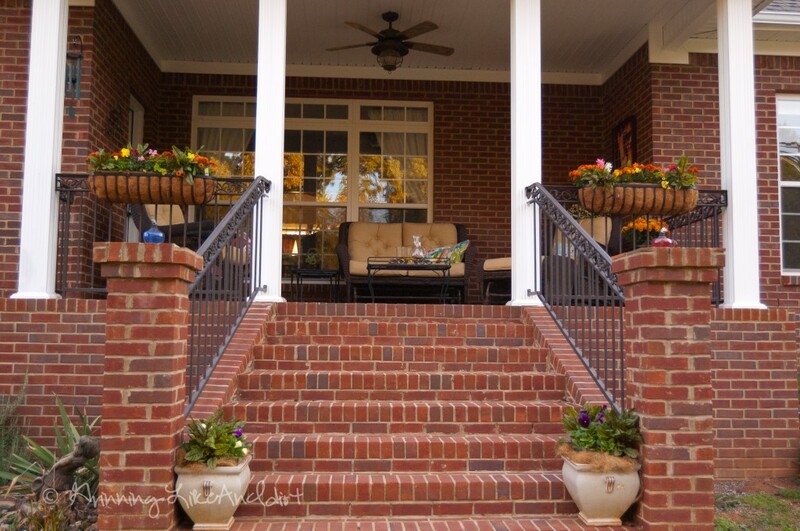 So, as part of my staging, I'm encouraging people to go onto the back porch for refreshments. 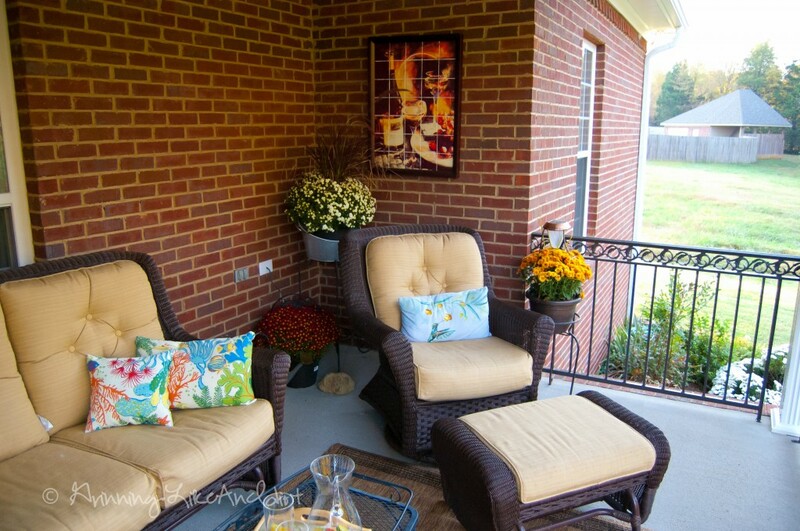 Another view of our back porch. The tin started out Silver and white. My real-estate agent said that Silver draws the eyes sometimes a bit too much and takes the focus away from other attributes. So I spray painted it black and then took Chalk Paint on the outside of the tin (I wanted to look like you could write on it). 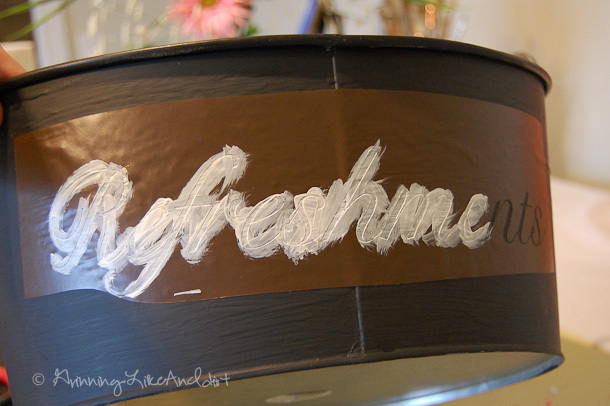 I used my brown Silhouette Vinyl (I don't have a lot of need for brown so it's my go-to throw-away stuff :) ), then using the Silhouette Transfer tape rather easily transitioned it to the chalk paint. 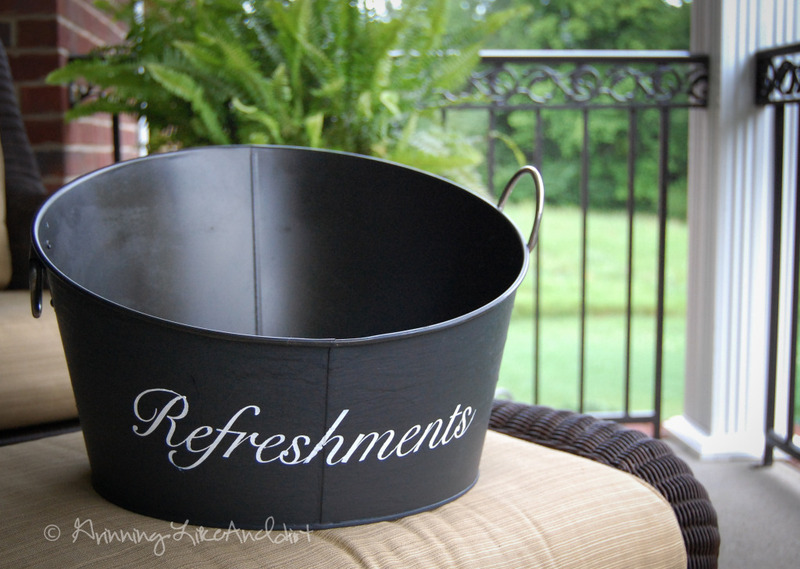 Then using acrylic paints and the Silhouette template I put together, painted the word "Refreshments" on it. 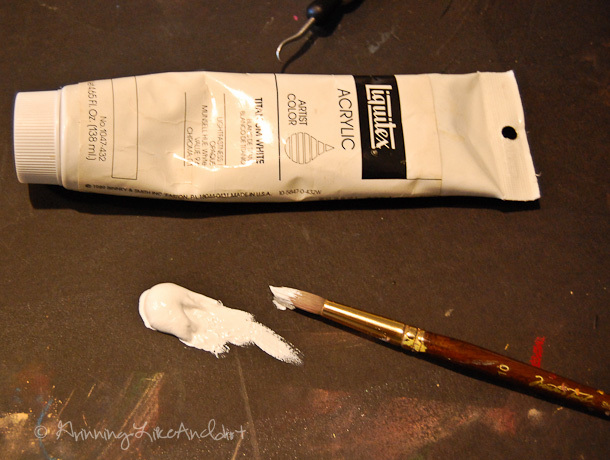 I hope my little post sparks an idea! Feel free to download the Template I put together - it's ready to print and cut, use transfer tap and you are good to go!